Builds your homeowners policy with Travelers Insurance. People who own valuable possessions need broader coverage than a basic homeowners policy provides. 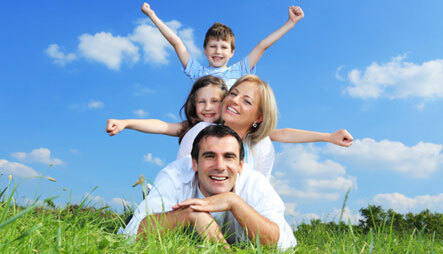 Now you can enhance your Travelers Homeowners policy withe the Valuable Item PLUS endorsement. While homeowners insurance pays for loss or damage from certain causes; such as fire, theft and other named perils; Valuable Item PLUS expands coverage to protect your valuables from loss caused by additional perils (subject only to a few common exclusions). Now you can purchase up to $50,000 of coverage for jewelry, antiques, paintings, tapestries, statues and other fine art and as much as $20,000 coverage for silverware or furs. The maximum payment for any one article is $10,000 in the state of Nevada. In addition, you pay no deductible. When you compare these higher limits with the totals paid by traditional homeowners insurance for losses of personal articles, the difference is clear. It’s easy to add Valuable Items PLUS protection. No appraisals for other extra steps are involved because this is blanket coverage for all of the property you select to insure. So if you have a Travelers Homeowners policy and valuables that mean a lot to you, consider the advantages and affordability of Valuable Items PLUS. Your possessions are worth a lot to you, especially certain ones that reflect your personal interests and taste. To protect your most valuable belongings, Travelers offers you two choices for superior coverage and flexibility. Expanded coverage for your valuables. Higher limits available for your valuable items. You generally pay NO deductible! In case of a covered loss, this specialized coverage allows you to revover the value of an item (based on a recent appraisal or bill of sale). This policy provides coverage for jewelry and Fine Arts at an amount you and Travelers agree upon. For other items, the policy provides either actual cash value, cost to repair, cost to replace or up to the insured amount, depending on what happens to the item and its current value. The Personal Article Floater is the right policy for people who have carefully selected and invested in items with values exceeding the limits of either a homeowners policy or homeowners policy with Value Items PLUS. Being an independent agent EINSURE chooses Travelers, because you have someone working hard for you. EINSURE believes that your satisfaction with your insurance is of the utmost importance. Your agent can help you decide on the right coverage for the items that you value most. So whatever you insurance needs, please don’t hesitate to call EINSURE. *Please note that if your Homeowners policy has been extended to cover personal property on a replacement cost basis, such coverage will apply to Valuable Items PLUS as well.